Traffic offenses in Virginia can have serious consequences for people and may result in suspension of the right to drive in Virginia, as well as fines and even imprisonment. Some of the more serious offenses such as driving while intoxicated, driving on a suspended license, or reckless driving can result in all three punishments. Also, people may find their insurance rates skyrocket, or have their insurance terminated upon conviction. This can happen sometimes when the offense is not as serious, such as speeding, but the person has already accumulated too many points on their driving record. Courts are located in numerous places throughout the state of Virginia and the entire Washington Metropolitan area. There are state courts, and federal courts which handle offenses committed on federal property such as the George Washington Memorial Parkway which runs along the Potomac River. Traffic offenses often require an appearance by the person charged with the offense. 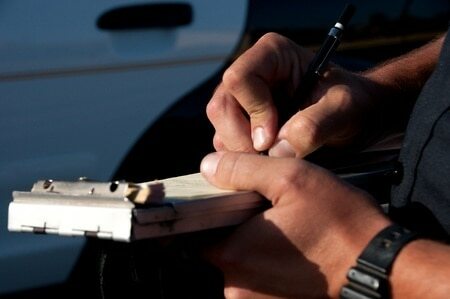 Many times, however, an experienced attorney can handle a traffic offense without a court appearance being necessary. The question as to whether you case may require a personal appearance depends upon the nature of the offense charged by the police and the particular court where the trial is scheduled. At your initial; consultation by phone or in the office, Mr. Bolger can answer your questions about whether you will be required to appear. The Washington metropolitan area is a busy center of government, tourism, and business. There are three airports in the area. Travelers from around the world are driving the roads. Mr. Bolger is very comfortable representing people of all backgrounds. Do not attempt to navigate the legal system on your own. Bad things often happen to people who represent themselves. Call the Bolger Law Firm today for help! Attorney Bolger was named again as one of Virginia's "Legal Elite."